The 2013 months of March and April displayed characteristics of winter weather rather than spring due to cold wet conditions that fell on areas of the Midwest. According to Agriculture.com, due to the warm and sunny weather, along with high soil moisture levels, crops are expected to meet and potentially exceed yield models. Agriculture.com reported that the warm and moist conditions present in the Midwest are providing optimal conditions for the growth of corn, soybeans, and winter wheat. 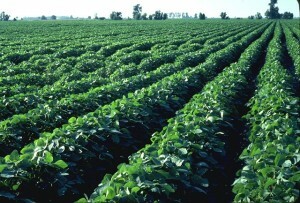 Based on crop progress reports from the USDA, Agriculture.com predicts that if any of these crops suffer a yield loss this year, it will be as small a margin as 3%. There is reportedly a chance that crop yields will surpass average annual yields. Agriculture.com notes that the growing season is gaining more importance in the crop lifecycle because of the impact it has on meeting the supply/demand factors of the marketplace. Despite the poor weather conditions in March and April, crop growth is quickly making up for late planting progress. Weekly growth reports from farmers show continual improvements that could make 2013 the year that crop yield model expectations are largely surpassed.